Maternal instinct , which have been considered natural, are viewed from a new point of view as science develops. Through the amazing maternal instincts of life, we can realize our God the Mother. All Mothers love their children naturally. ( Maternal instinct ) How can it possible? Many mothers find themselves changed as like born again after giving birth . It is the maternal instinct that drives them to do things they have not done before they have a baby. In the past, this maternal instinct has been considered great, but at the same time it has been taken for granted. However, as science advances, changes in the human body and the actions of hormones that make the maternal instincts become known. 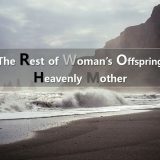 Let’s remember God the Mother through understanding motherhood instinct. Motherhood instinct that makes Mother love her baby. 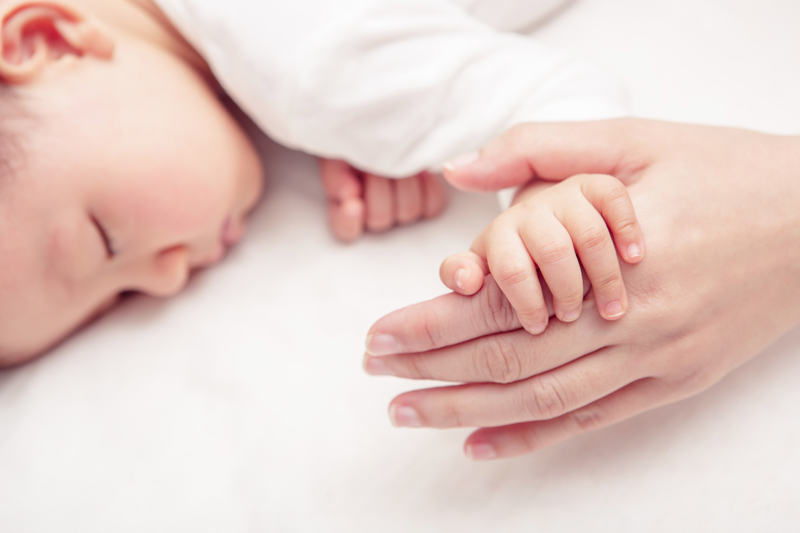 A representative hormone involved in maternal instinct is oxytocin. 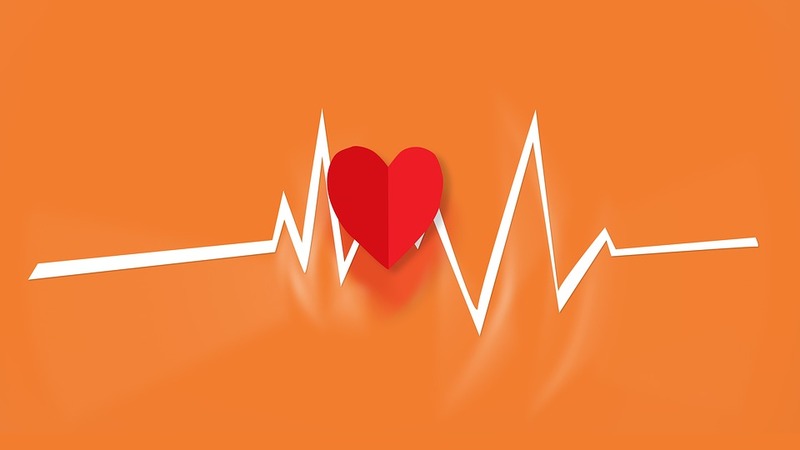 Oxytocin induces maternal birth and stimulates lactation. Also, It make mother to feel love to the newborn baby and to take care of the baby to form an attachment relationship. This action of oxytocin has been found in studies by Turkle and Rosenblatt. In this study, they collected blood from mother rats within 48 hours of giving birth and injected them into virgin rats. The virgin rat then took care of the young rats as if they were their mothers and feed them even though she can not get milk. It has been found that there is something that causes maternal behavior in the blood of mother rats. In addition, changes in dopamine levels were also observed in the brains of the mother rats. Dopamine is a neurotransmitter that makes us feel joy and happiness. Cocaine is a typical drug that promotes the secretion of dopamine. Cocaine-addicted rats generally prefer cocaine more than food, but the mother rats in the early part of childbirth spend most of their time cramping cocaine and taking care of their offspring. It is because for mother, the contact with offspring made the joy and happiness more powerful than the cocaine. Mother endures any difficulties for her children. 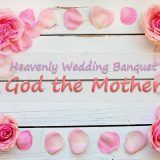 So how about God the mother? Sometimes, Maternal instincts surpass survival instincts. The only reason the squirrel can take a life and fight the snake, and the giraffe can rush to the five hungry lions without a fearful sign is to defend their Kid. People are no exception. 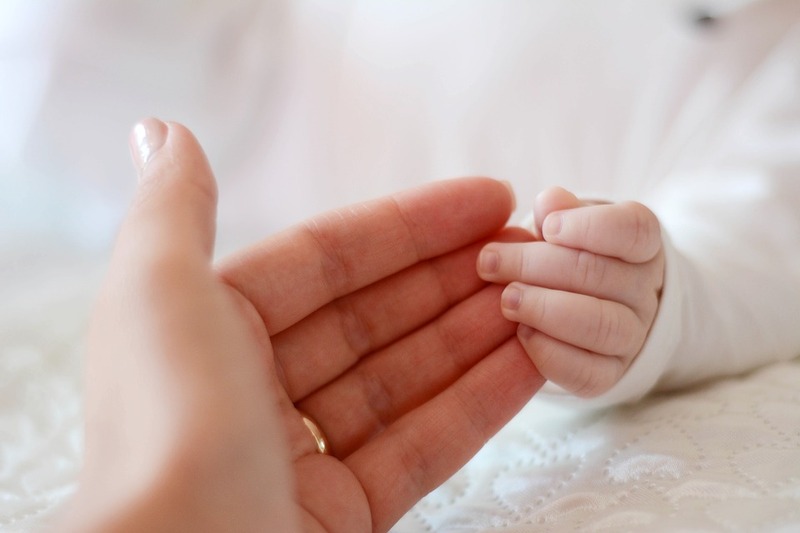 It is a fact that everyone is sympathetic to the strength of maternity, including the story of a baby survived in the arms of a mother at the scene of an accident or a mother who saved her baby with superhuman strength. It has been found that two hormones are involved in the mother’s bravery by her children. Oxytocin and prolactin are acting on the brain to stop stress and eliminate anxiety and fear. Why did the Creator God make all living being cannot be born without the suffering of the mother, and to sustain the life of mankind through maternal instinct? Where does the instinct of mother’s mother’s mother’s mother begin from? Bible testified about God the Mother who is source of all life. Maternal instincts are so mysterious. What is a beginning of it? Who gave this mysterious instincts? When we go back the beginning, we can easily find its source, Heavenly Mother. Yes, Heavenly mother give us love from 6,000ago to now. If there is not morher’s love, it is hard for us to live life in the world. Thanks to Elohim god. Oh mother is our life and love! We thank for heavenly mother to realize us your love through physical mother’s love. God the Mother shows her love thru the natural! How great it is?! Thanks to Elohim God! Through the maternal love of mothers, Elohim God make realized us the great love of Heavenly Mother. The Mother’s love for her children is greatest above all things. Since God the Mother loves us, She came to this earth and alway love us and sacrifices. God the Mother is love herself, we can live again through love of Mother. Every mother by nature has maternal intinct which has been given and inherited from God the Mother. 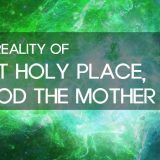 Since God the Mother loves Her children so wholeheartedly and devotedly, She has come to this earth to lead us to our spiritual home, Heaven, by giving us the water of life. 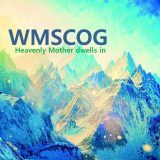 If you are earnestly longing for Heaven, please come to WMSCOG and meet God the Mother who is the source of love and life. Where does the instinct of mother’s mother’s mother’s mother begin from? It is very interesting question. Your answer is ‘from the God the Mother’. Very shocking!!! Without Heavenly mother, I couldn’t feel the real love. She always sacrifices herself because of us. We can’t compare her love to anything. Mother’s love is really great! That’s amazing! Science and the Bible are very relevant! I can’t imagine how deep Heavenly Mother’s love is. Heavenly Mother is source of love. Maternal love is a destiny set by God. 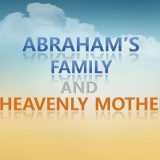 It is said in the Bible that mothers on earth were created in the female image of God (Gen.1:27).Which means, mothers on earth are copies of Heavenly Mother n inherited the great love of Heavenly Mother. Thanks to Heavenly Mother for your love. We can easily feel the devotion of a mother for her child. Mother’s love is very profound and deep! Yes. Who can measure Mother’s love and sacrifice? God showed up through all things to realize the love of Heavenly Mother that we do not understand. It is so mysterious and great! We are the most blessed people in the whole universe ! because we met God the Mother. People can be received life by their mothers because it’s God’s will. 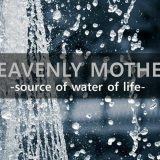 The source of life is God the Mother who gives us eternal life and Her great love for the heavenly children is so deep. Maternal instinct is the evidence that helps us to understand the fathomless love of God the Mother. She is truly the source of love and life. Eternal thanks to Her. By seeing the will of God in all creation we can understand the exsistence of God the Mother. How deep God’ wise! Through the tiny little instinct God shows God the Mother. Our God is not one. Because we are God’s children. 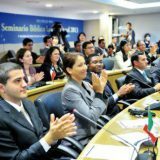 Children have their own parents, father and mother. 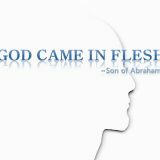 Our God is Elohim(Gods) testified by the Bible ; God the Father and God the Mother. Christ Ahnsahnghong taught us this amazing fact. 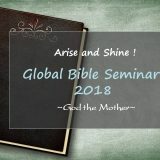 The children of God have not only God the Father but also God the Mother. Through God the Mother, we can receive eternal life and eternal love. Through the physical mother’s love, we can feel the love of God the Mother. It is because the love is given to us by God the Mother. Just like we have a physical mother on earth, we do have a spiritual mother in heaven. We cannot excuse about God the Mother’s existence according to all creatures God made. I realize that how our Heavenly Mother’s love are so great and amazing through maternal instincts of all the mothers. Thanks to Heavenly Mother for Your unimaginable sacrifice and love for us. We cannot imagine how deep our God’s will for us to save all mankind. Iis so true that God put His divine nature to all creatures so we cannot deny His existence as written in the Bible. When I came up with the word “Motherhood”, I was so touched and felt comfortable. Why? Mother is such a truly lovely existence! I was convinced God the Mother. Because Earthly Mother’s love came from Heavenly Mother’s love!! !